Queen’s University has announced it is part of a consortium that will receive a multi-million-pound investment of government/industry funding to advance the use of artificial intelligence (AI) in cancer diagnosis and precision medicine. Queen’s Precision Medicine Centre of Excellence (PMC) will join the PathLAKE consortium, which includes University Hospitals Coventry and Warwickshire NHS Trust; University of Warwick; Universities and University Hospitals in Oxford and Nottingham; and Philips Digital and Computational Pathology. The Precision Medicine Centre at Queen’s is an internationally recognised laboratory, focusing on diagnostics which can predict a cancer patients’ response to treatment. This will allow potentially costly drugs to be used more effectively by being prescribed only to those that can benefit from them. 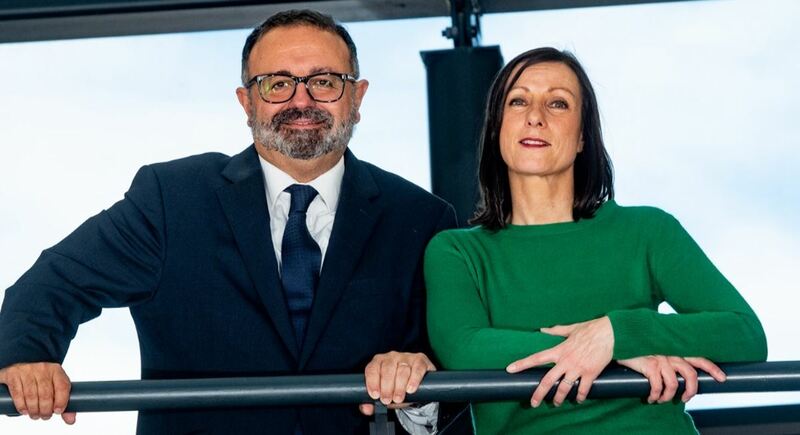 Commenting on the announcement, Professor Manuel Salto-Tellez, Chair of Molecular Pathology at Queen’s and Lead of the PMC (pictured left above) said: “Digital Pathology and AI has the potential to drive huge improvements in cancer precision diagnostics and therapeutics. “I am very proud that Belfast is the recipient of the largest budget in the consortium to develop new tools to help cancer patients in the future. This is a true recognition of the global leadership from Belfast in Digital Pathology, and a great achievement for the newly created PMC. Peter Hamilton, Head of Research at Philips Digital and Computational Pathology commented: “Pathology is central to ensuring accurate diagnosis for patients with diseases such as cancer, and in determining the precise course of action. However, our ageing population, with rapidly rising sample requirements and increasing case complexity, are placing ongoing pressures on a workforce, which is itself ageing. “This creates challenges to ensuring early diagnosis and precision therapies and requires urgent attention, so we are delighted the UK government recognises the potential that digitisation and AI could bring to pathology. The University's Precision Medicine Centre of Excellence (PMC) is a co-investment from Invest Northern Ireland, Queen’s and the Northern Ireland Department of Health and the Molecular Pathology Programme receives significant competitive funding from Cancer Research UK. Media enquiries to Sian Devlin at Queen’s Communications Office or tel: +44 (0)28 9097 5292.